Radiation in the form of natural background radiation has been an integral part of our environment, be it terrestrial radiation, cosmic radiation or spontaneous radiation emitted by radioactive elements. However, it has been a common public perception that nuclear radiation is misgiving of nuclear scientists to an otherwise innocuous environment. The fear of nuclear radiation and its ill-effects has taken a new dimension ever since the Fukushima event happened in March 2011. Factually, this is far from truth. Humans are exposed to radiation from natural sources all the time called ‘natural background radiation’, and this is always around us be it indoors or outdoors. The sources include the ground we walk on, the air we breathe in, the food we eat – the entire solar system on the whole. Everything in our world contains small amounts of radioactive atoms like Potassium 40, Radium 226 and Radon 222. 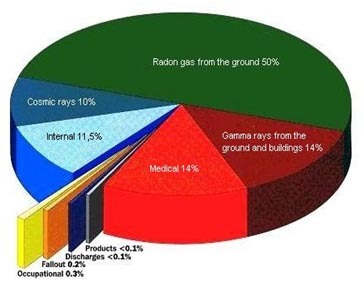 The source of natural terrestrial radiation is the radioactive substances in the earth’s crust which emanate radioactive gases from the earth. When earth was formed, it contained many radioactive isotopes some of them being long-lived isotopes. We are continuously irradiated by the decay products of these isotopes still present in the earth. 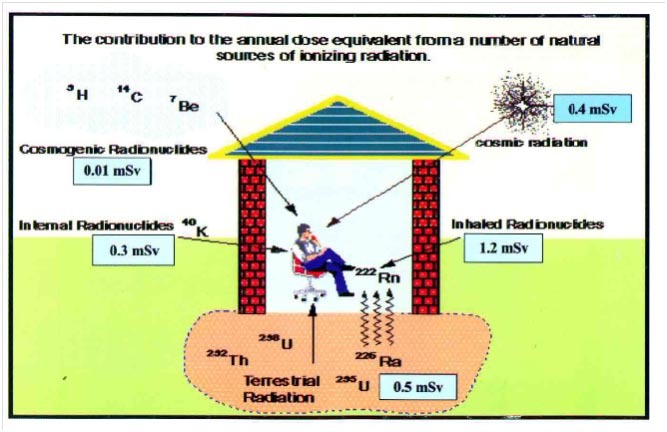 The major contributor for terrestrial radiation is Radon which comes from the radioactive decay of Uranium. Uranium decays through a long chain of radionuclides that includes Radon. Radon is a noble gas, not chemically active, that migrates through porous materials like the ground and the house's foundation. Radon itself has a small chance of decay as it is breathed in and out. Most of our actual dose comes from the decay products of Radon. These Radon progeny are particles not gases. They can be deposited in our lungs as we breathe where they have some chance of decaying before the body can get rid of them, resulting in a radioactive dose. Another source of natural radiation is the cosmic rays coming to us from the universe. Cosmic rays are extremely energetic particles, primarily protons originating from the sun, which after reacting with air reach us as muons, gamma rays, neutrons and electrons. Most of the cosmic rays are blocked by the earth’s atmosphere and only a fraction reaches the ground. The intensity of cosmic radiation therefore increases with height. Hence, on a mountain top or aboard an aircraft exposure to cosmic rays is more intense than at sea level. High altitude inhabitants, air crew who spend much of their time at high altitudes receive nearly 20 times higher than normal radiation. However, no adverse effects due to such conditions have clearly been identified so far. The third source of natural radiation is the naturally occurring isotopes mainly Tritium, Carbon-14 and Potassium-40 which enter our body through the food we eat, water we drink and the air we breathe. They eventually make their way into our food chain. Once ingested, they decay and give us an internal dose. 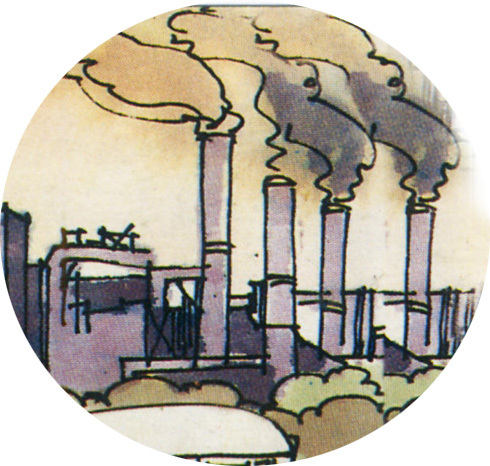 Let us look at it with an illustration. A typical banana contains about half a gram of Potassium. The dose of radiation that a person absorbs by consuming one banana is defined as Banana Equivalent Dose (BED). One BED approximately works out to 0.08 micro Sievert, corresponding to nearly one-fourth of the annual dose absorbed by a person residing at the boundary of a Nuclear Power Plant. Radiation, therefore, is present throughout the environment and dates back to time Earth was created. The intensity of the background radiation is dependent on a number of factors – place we live, composition of ground, buildings we dwell and also on weather conditions. The background radiations in certain parts of our country show high levels. Kerala with thorium in the sand has shown high background radiation levels. 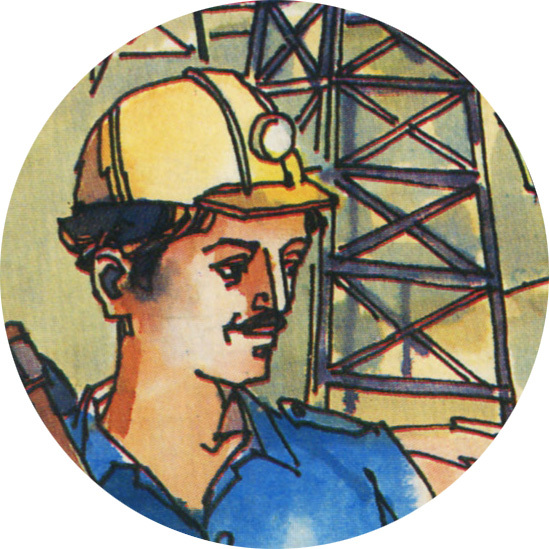 In fact Karunagapally taluk in Kerala has radiation background upto 70000 micro Gy/yr, primarily due to the thorium deposits. Such instances are also found in other parts of the world e.g. Ramsar, a city in Northern Iran, people have been receiving upto 260000 micro Sievert/yr dose due to natural radiation. Living in areas of such regions of high radiation however has not shown any increased instances of cancer risks as compared to people living in areas with normal background radiation. 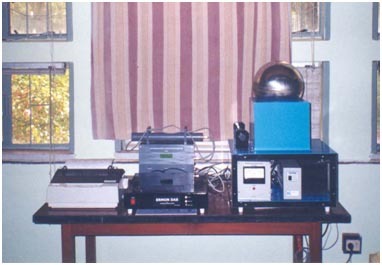 In our country, background natural radiation fields are measured by INDIAN ENVIRONMENTAL RADIATION MONITORING NETWORK (IERMON) by BARC, Department of Atomic Energy (DAE) which has several stations across the country and the readings of the radiation fields are available on-line in DAE. The data show that there is at least 10 % variation in the radiation fields on both the sides of average readings. 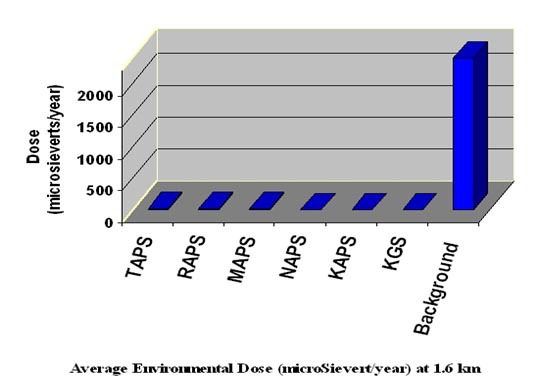 Contrary to the normal perception, the radiation doses from a nuclear power plant are much less. This is illustrated by the fact that as compared to average natural background dose of 2400 micro Sievert/yr, the radiation dose from Indian Nuclear Power Plants (NPPs) during 2010 was between 0.42 to 39.6 micro Sievert to persons near plant boundaries. This makes it evident that the releases from NPPs are insignificant when compared to the natural background radiation. National regulations for our Nuclear Power Plants are based on the principle of reducing radiation to “As Low As Reasonably Achievable (ALARA),” so that the total radiation at a location is not significantly augmented beyond the natural background radiation levels. This is not from safety considerations but for social reasons. Medical use of man-made radiation has been a boon to mankind. This irrespective of the fact that the radiation dose received in such cases is significantly higher than that received from a nuclear power plant. Let us understand it like this. A CT (computed tomography) scan gives a dose of 5000-10000 micro Sievert while PET (Positron emission tomography) scans give a similar dose from an internally injected radioactive source. A screening CT+PET scan gives a whole-body dose of 15000 micro Sievert. This radiation and radioactivity, internal and external, are essentially the same types as that emitted at Fukushima. Be it for treatment of cancer or for medical investigation, the benefits drawn from radiation are immense. Man-made radiation have been of beneficial use in other areas too e.g. agriculture, food preservation, scientific research etc. In the field of agriculture, radiation has been successfully used in developing over 1,500 new strains of food crops and plants that give a better yield and are more resistant to heavy rain, frosts or pests as compared to the original species. Radiation has also been used in enhancing the storage life of crops and foodstuffs. Irradiated foodstuffs have shown resistance to parasites and bacteria. However, irradiated food itself does not become radioactive in this process and therefore presents no risk to the consumer. Radiation materials have also been used in industrial applications e.g the all-seeing eye of radiation is used in various applications, often to ensure human security. X-rays are used to pry into suitcases at airports and to check for welding errors or cracks in buildings, pipelines and structures. The low radiation levels from a nuclear power plant are achieved by adopting very sound design practices, having stringent quality management system and ensuring best operation practices that consider public safety as an overriding priority. Nuclear radiation from our nuclear power plants is continuously monitored by independent agency and is much below the regulatory requirements. The safe performance of our nuclear plants over the last two decades stands as a testimony to our commitment towards safety of the operation personnel, neighborhood population and the public at large.